The manufacturer and developer of high-end camera systems, Hasselblad has launched its new super high-end H3D II DSLR which features an 3-inch high-resolution LCD display, 48×36 mm CCD image sensors – the largest currently available and an integrated GPS (GIL) for automatic geotagging your gigantic digital photos. 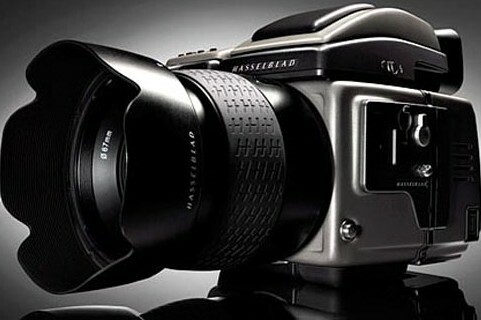 Besides, the latest Hasselblad H3D-II also improves image quality further with its improved noise and vignetting reduction. If you feel that $37k is too costly and 39 megapixel is too much for you, there are the options still available for you including 31 megapixel H3D-31II ($30,000) and the 22 megapixel H3D-22II ($25,000).